Edgardo Rocha was born in Rivera, Uruguay, where he graduated in piano, studied choral-orchestral conducting at the University of the Republic and began his voice preparation with Beatriz Pazos and Raquel Pierotti. He moved 2008 to Italy, where he studied with the prestigious tenor Salvatore Fisichella and attended the Rossini-Master Classes of the tenor Rockwell Blake and of the baritone Alessandro Corbelli. He is the winner of several singing competitions including the 51th Competition of Young Musicians of the Uruguay, Maria Callas International Singing Competition in Sao Paulo, (Brazil), Giulio Neri Competition in Siena (Italy) and the First Stage Competition in Cesena, (Italy), where he debuted the role of Almaviva in Il barbiere di Siviglia by Rossini. Edgardo Rocha was Don Ramiro in the film La Cenerentola una favola in diretta, produced by Andrea Anderman for the Rai Television and broadcasted Live in Mondovision in June 2012, directed by Carlo Verdone and conducted by Gianluigi Gelmetti. He sang Gianni di Parigi at the Wexford Festival, La Cenerentola at the Teatro Lirico Cagliari, Bergen Festival, Seattle Opera, Opera di Stuttgart, Teatro Maestranza di Siviglia, Beaune Festival, Lausanne, Bilbao, Montecarlo, Dortmunt, Elbphilharmonie Hamburg, Concergebawn Amsterdam, Luzern Festival, Auditorio de Madrid, and Opera de Versailles, Don Pasquale at the Teatro del Maggio Musicale Fiorentino and Filarmonico di Verona, Così fan tutte at the Teatro San Carlo Napoli and Teatro Regio Torino, L’italiana in Algeri at Teatro Petruzzelli Bari, Wiener Staatsoper, Opera de Nancy, La scala di seta and Rossini’s Otello (as Jago next to Cecilia Bartoli) at the Opernhaus Zürich. In December 2012 he made his debut at the Wiener Staatsoper as Almaviva in Il barbiere di Siviglia by Rossini. He sang the Count Almaviva also in: Palau de les Arts Reina Sofia di Valencia, Teatro Real de Madrid, Opera de Lausanne, Bayerische Staatsoper, Semperoper Dresden, Opera National de Paris, Israeli Opera, Hamburg Staatsoper, Opera di Roma, Filarmonico di Verona and Arte Lugano e Cultura. He made his debut in the role of Rodrigo in Otello by Rossini at Théâtre des Champs-Élysées with the mezzo-soprano Cecilia Bartoli. With the same role he appear for the first time at Pfingstfestpiele in Salzburg. 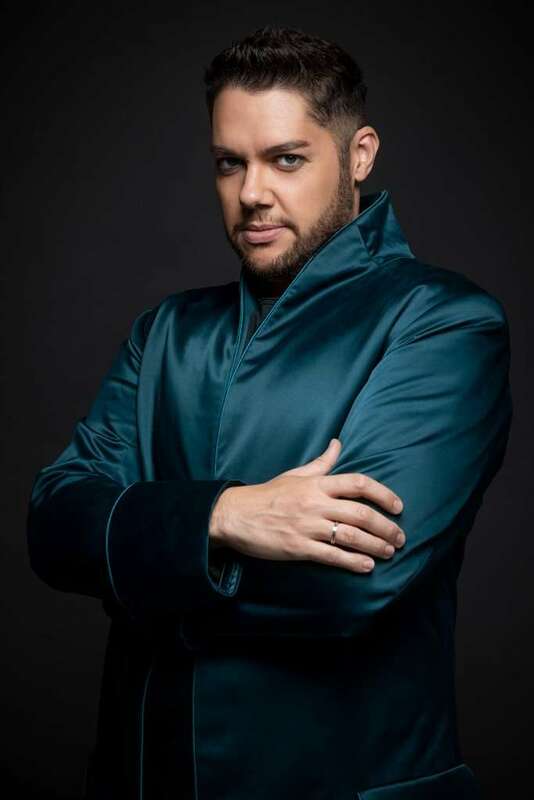 After that he sang the role of Count Alberto from La Gazzeta by Rossini, Opera Royal de Wallonie in Liège, Il turco in Italia at the Teatro Regio di Torino, Viaggio a Reims in the role of Belfiore and Le comte Ory by Rossini at the Zürich Opernhaus. Nadir on The pearl fishers by Bizet at the Nancy Opera, Arturo in Bellini’s I Puritani at the Stuttgart Opernhaus and Leopold in La Juive by Halevy at the Bayerische Staatsoper. He begins 2017 with a great European tour of La Cenerentola with Cecilia Bartoli for celebrate the 200 years of the first representation of Rossini’s master piece. He appears again at Teatro alla Scala as Gianetto in La Gazza ladra by Rossini. Among his ’18/19 plans L’italiana in Algeri at Liceu de Barcelona, at the Salzburg Pfingstfestpiele and and Salzburg Festspiele, La donna del lago (Giacomo V) at Opéra de Marseille, Anna Bolena (Riccardo Percy) at Opéra de Lausanne in the original version, Agnese (Ernesto) by Paer at Teatro Regio in Torino, Il turco in Italia at Opernhaus Zürich, Viaggio a Reims at Sächsische Staatsoper Dresden.